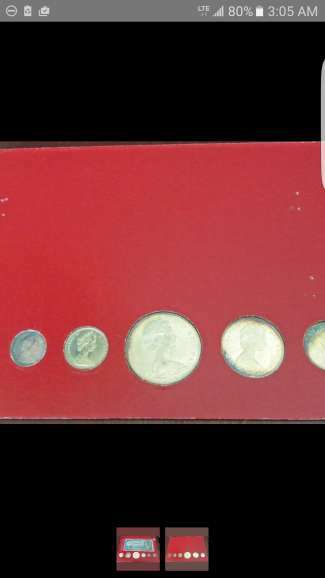 I was wondering if anyone had any information on the 1967 coin oriented silver dollars. Scarcity, known in existence, etc. A few quick google searches hasn't turned up much, and in all fairness (and shame) I do need to go pick up a Charlton catalogue. I only ask because I am 99% sure I just picked one up online, and haven't been able to find much on that variety as most postings seem to be about the diving goose. Once I know the item is shipped I will post the images from the listing to get everyone's opinion, but I just wanted to see what the general consensus was. I looked at the values on here and there isn't even anything mentioned below EF, so it just had me wondering if there were so few that non have been recorded as sold in less than EF condition? Do you mean the item is in coinage alignment, rather than medal? It's all due to the reverse die rotating .. just like the diving goose is 45 degrees off. Any rotation less than 15-20 degrees mean nothing and no premium. A full 180 degrees out (coinage) is quite rare and about a dozen found so far that I know of. 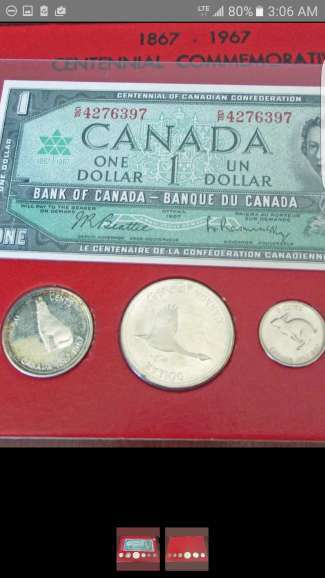 Bill in Burl wrote: Do you mean the item is in coinage alignment, rather than medal? It's all due to the reverse die rotating .. just like the diving goose is 45 degrees off. Any rotation less than 15-20 degrees mean nothing and no premium. A full 180 degrees out (coinage) is quite rare and about a dozen found so far that I know of. Here are pics from the item listing. Let me know what you think. Could be, but you don't know if he took out the coin and reversed it. Bill in Burl wrote: Could be, but you don't know if he took out the coin and reversed it. Very true. On the plus side - and what made me think the seller didn't know what they had should it really be a 180 - is it didn't cost me more than any other '67 set, and it wasn't advertised as being anything special. I'll keep everyone posted once it comes in! Did the coin arrive yet and if so what are the results?